Pros Off the charts performance. Extremely durable. Great programs, good monitoring of vital statistics and solid customer service. Cons The speakers don't match the quality of the rest of the machine. Summary The best elliptical available today. Packed full of features and boasting a generous weight limit at 375 pounds, this machine is built to last. 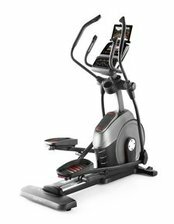 Pros True professional-grade quality; can function as an elliptical, bike, or stair-climber all in one. Extremely helpful customer service. Cons Very expensive. The only reason it's not the Best on our list is the price. Summary Name a feature you want and this probably has it. Quite expensive, but it is a machine that will last years and customer service is great. 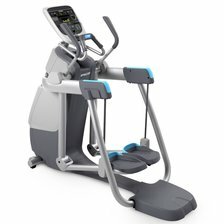 Pros Unique design made to burn calories quickly and be easily configurable for better fit and different routines. Cons Quite expensive, but it is durable and will last for some time. Summary This one is certainly unique and very effective. It is fairly expensive, however. Pros Articulating footpads on an inexpensive unit; monitor keeps up with heart rate, distance, calories burned, etc. Cons A bit of a chore to put together and may wear out quickly with heavy use. Only supports 275 pounds. Summary A real bargain full of features you might not expect. The best value for your money. Pros Generous 375-pound weight limit; lots of programs; monitors all the states you'd expect and perhaps a bit more. Cons Takes a few hours to assemble. Summary A top of the line machine. 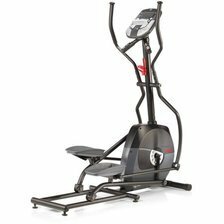 If you want a long-lasting elliptical with all the features you could possibly have, choose the ProForm.